Distributed nationally, you’ll find all three brands not only in airports, but stores near you. Products include several varieties of all natural beef jerky, snack sticks, the aforementioned jerky / trail mix, and more. There’s a list of stores (by category) where you can find their products at the Oberto Brands website, and also links to options for buying online. Next time you’re waiting in an airport, stuck in traffic, or just sitting at your desk, grab a bag of these satisfying and good-for-you snacks! Alternasweet’s best seller is their Sweet & Smokey BBQ Sauce, pictured. It’s a blend of premium spices with a touch of molasses added for that familiar barbecue twang. Best of all, it’s super low carb and contains no artificial sweeteners! 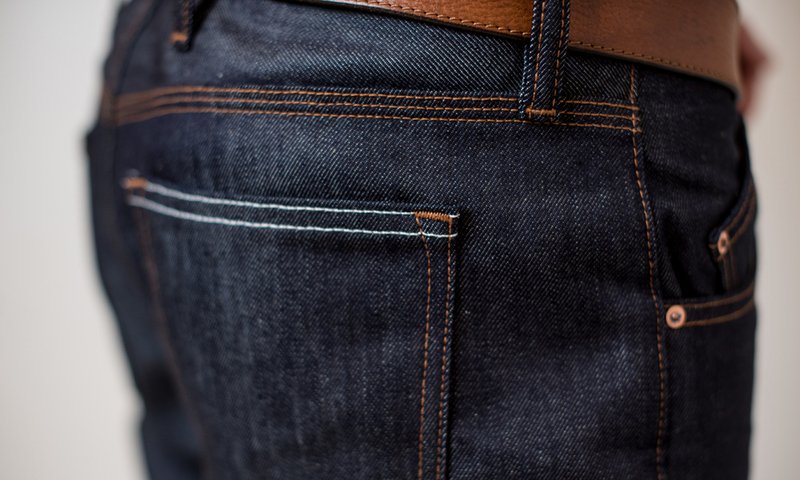 Discover the difference in style and durability vs. mass produced jeans! 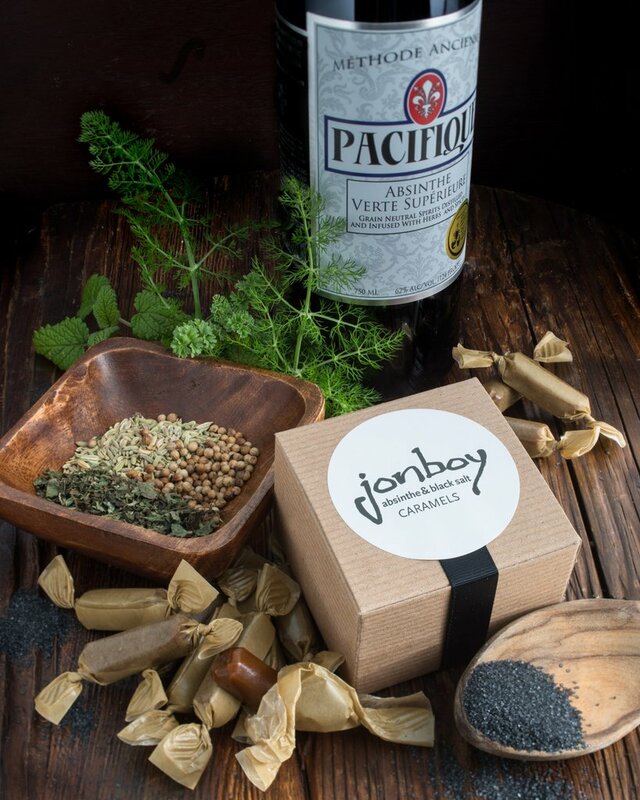 Jonboy Caramels: Based in the Ballard neighborhood of Seattle, this thriving small business uses creative ingredients like Pacific Absinthe and blackberry and raspberry juice from local berry farms in their artisan caramels. What’s equally noteworthy is the absence of certain other ingredients … no corn syrup or things you can’t pronounce! Visit their website, check them out locally in the Seattle area, or go ahead and order online! 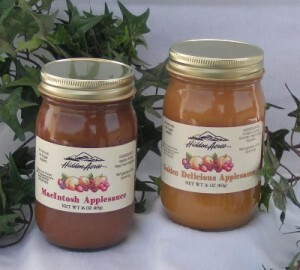 You can get them in four different varieties – Apple, Blood Orange, Pear, and Orange. 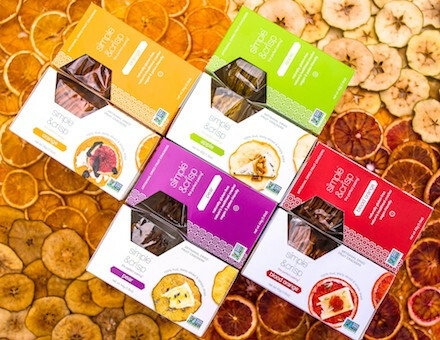 Visit the Simple and Crisp website to see the variety packs and try all four flavors! 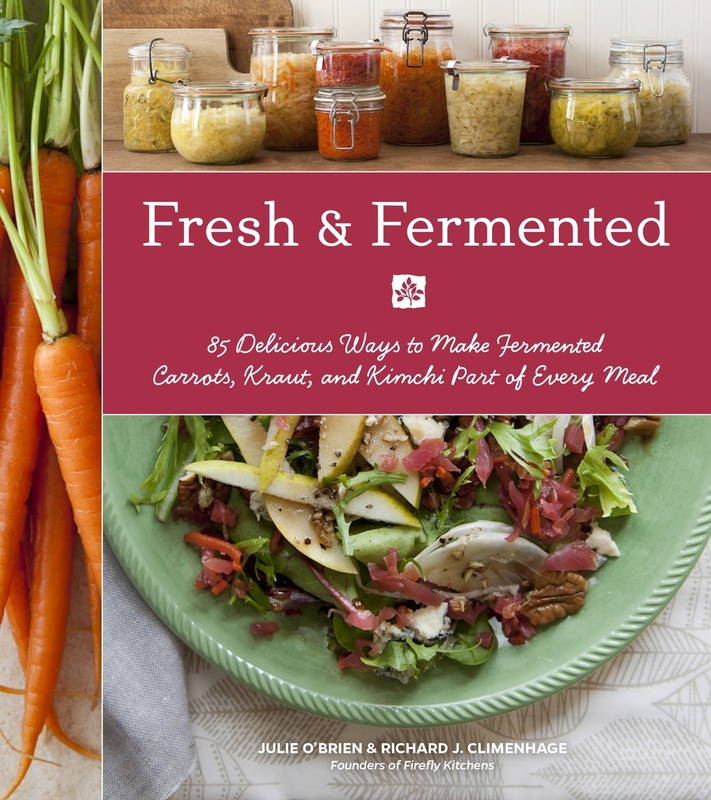 Some of the noteworthy products in the Firefly Kitchens selection includes Ruby Red Kraut and Yin Yang Carrots. The Ruby Red Kraut gets the color from red cabbage and beets, along with carrots for flavor and and texture. Yin Yang Carrots are a best seller – slightly sweet and crunchy, perfect as an appetizer! 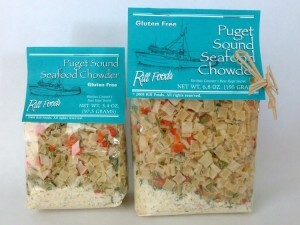 Great natural foods coming from the great state of Washington! 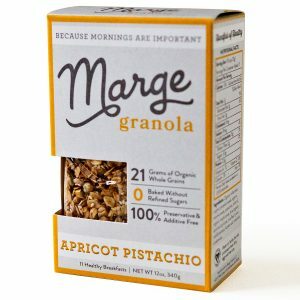 Marge Granola: This Seattle based baking company specializes in creating small batch granola and cereal. 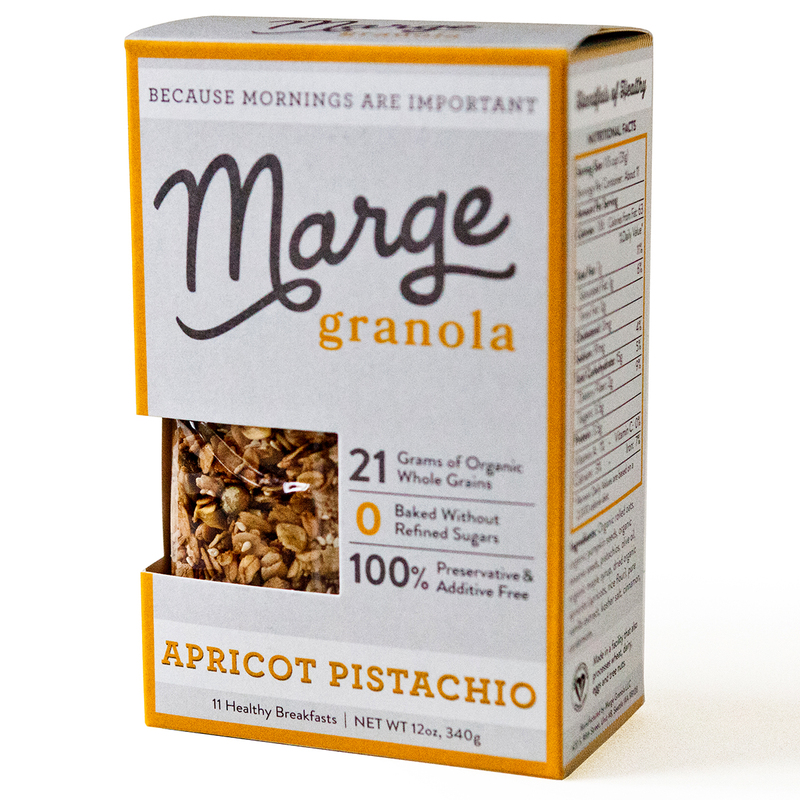 The company uses organic grains, nuts, seeds, organic maple syrup, and a blend of spices. The end result is fantastic! Tasty local products from Washington! Honey’s flavor depends upon the flowers the bees pollinate, which is why you’l sometimes see honey that’s darker or lighter than you’re used to. It’s really a lot of fun sampling the differences and we encourage you to seek out local honey whenever you hit the road! All by Washington bees, from Washington flowers, and Made in Washington! 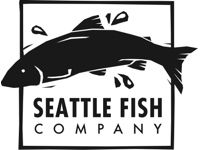 Seattle Fish Company: The name says it all for this northwest purveyor of fresh fish and other enjoyables – simply put they do fish and they do it well! 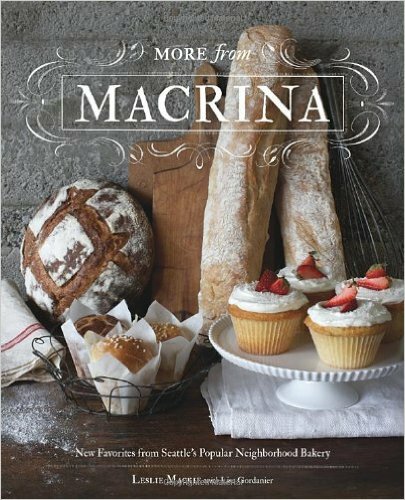 A special recipe book titled “More From Macrina: New Favorites From Seattle’s Popular Neighborhood Bakery” has been released and it’s available from the “More From Macrina” tab at the bottom of their website’s home page. This book offers recipes for the bakery’s touted artisanal breads, along with recipes for pies, cakes, cookies, and more. Sprinkled with neighborhood stories, the book is a wonderful gift for any Seattle resident who appreciates the value of small businesses to the community. Click through to learn more! 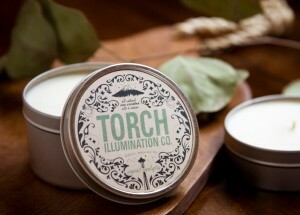 For starters, Torch Illumination uses all natural soy wax, recyclable tin containers, and locally sourced fragrance oils. Further, the candles are packaged with 100% recycled labeling, and 10% of the profits from every sale are donated to environmental causes. But all that aside, the candles smell great! Choose from 4 ounce and 8 ounce sizes in scents like Red Currant, Honey Almond, Blood Orange, Vanilla Sweetgrass, and more. You can order directly at the Torch Illumination website and have them shipped directly to your door or that of your gift recipient. 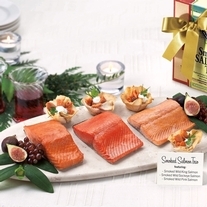 Economical and sure to be enjoyed gifts – Made in Seattle! Eat & Explore Washington: We recently discovered a publishing company, Great American Publishers, that’s in the midst of compiling a special cookbook for each of the 50 states. 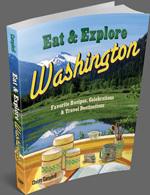 The Evergreen State’s title is published, and it’s called Eat & Explore Washngton. They did a really nice job with this volume! 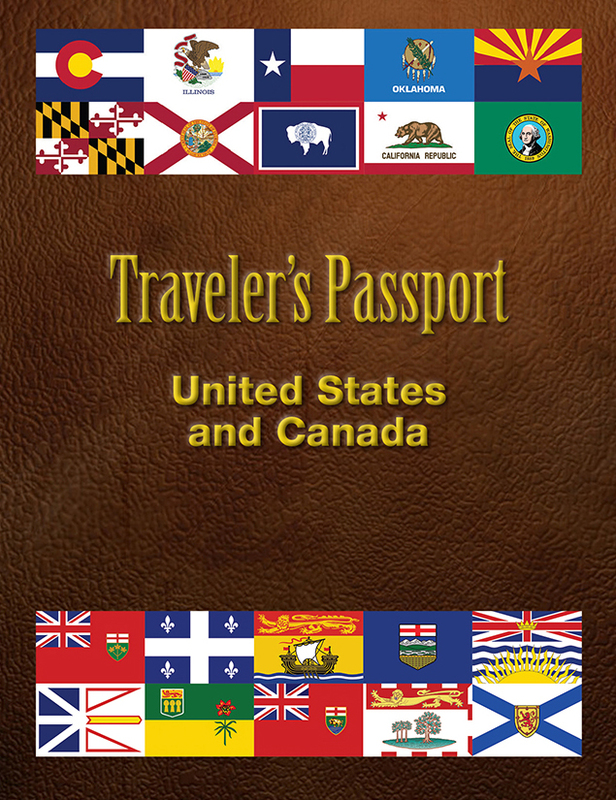 It’s called Traveler’s Passport United States and Canada and it’s a really useful resource for keeping track of the states and provinces you visit on road trips. 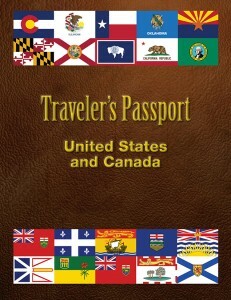 This clever book contains a brief write up on every state, including a photo of the state flag, capital building, and a space for the traveler to note the dates they visited. A great gift, you can order both Traveler’s Passports directly from the link above. The perfect helpful paperbacks for the traveler on your list! Think of a batch of popcorn and consider which kernels taste the best. The half popped ones, right? Everybody loves those! 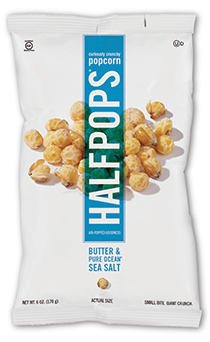 And so Half Pops made it happen … they air pop popcorn kernels halfway to create a unique and delicious popcorn snack appropriately dubbed Half Pops! 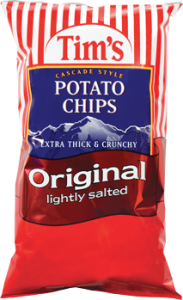 They’re available in specialty markets in Washington, and the company has partnered with World Pantry to bring their great taste to anyone in the continental United States. You can order them in four different flavors – Chipotle Barbecue, Butter & Sea Salt, Aged White Cheddar, and Caramel & Sea Salt. Buy them in 2 ounce or six ounce bags, and multi packs are available as well. A great gift for the person who enjoys creative snacks, and isn’t that everyone?? Two of the newer products offering a Washington state twist are Trilby’s Mild Marionberry and Chipotle Marionberry BBQ Sauces. These northwest grown berries add a new dimension to the sauce’s flavor, and it’s well known in Q circles how well select fruits pair with grilled slow cooked meat. 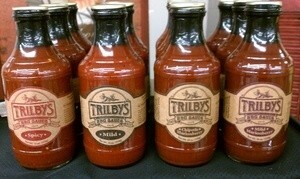 Trilby’s also makes a variety of BBQ Dry Rubs and Dip Mixes, all of which are available online from their website. The Dip Mixes are very versatile – combine them with two cups of your favorite mixer (salad dressing, mayonnaise, cream cheese, etc. ), chill, and you’ve got yourself a wonderful dip perfect for any gathering. Try the Hearty Horseradish Dip on roast beef sandwiches! Combination and gift packages are available as well. Check out the Trilby’s website to order! 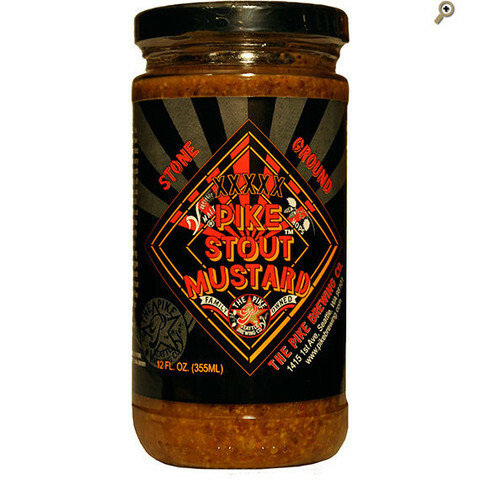 Pike XXXXX Stout Stone Ground Mustard: Every once in a while when we need ideas for companies and products here at State Gifts USA, we look in our own refrigerator or cabinets. Whenever we travel, we always come back with more bags than we left with because we’re always finding great locally made products we just can’t seem to live without! Such was the case a few years ago on a visit to Seattle and the Pacific Northwest. A visit to the iconic Pike Brewing Company introduced us to their wonderful Pike XXXXX Stout Stone Ground Mustard, make using a splash of their flagship stout ale. 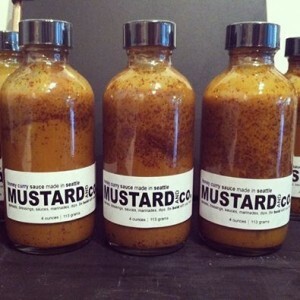 If you’re a fan of great mustard like we are, try this one! It’s hearty and offers just a bit of sweet flavor to balance the mustard’s vinegar (there’s a bit of brown sugar in it). Great on sandwiches or any type of roast meat, you can also use it as a wonderful pork marinade, if you can bear to use most of a jar at one time! We tend to hoard it, but go ahead and use it liberally, you’ll love it! You can find this and some of Pike Brewing Company’s other condiments available at their website – click on Shop Pike. We love trying different styles of mustard, and this is one of the best we’ve had. Enjoy! While their meat is only sold locally, their food products are sold online. Did you know the San Juan Islands are famous for their apples? The weather conditions in this part of the country are ideal for apple growing and Lopez Island Farm uses these and other fruit to create some unique and flavorful syrups and chutneys. One you won’t see often is their Marionberry Syrup, pictured. A specialty crop found in this part of the country, marionberries are paired with apple cider to create a syrup like no other. If you’d like, use it as a dessert topping on ice cream or pound cake, and of course it’s fantastic on pancakes and waffles too! 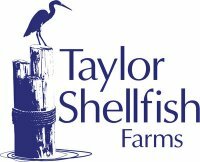 Click through to their site to see all the specialty products from the farm. You can order via PayPal and the farm will ship your selections directly to your door! 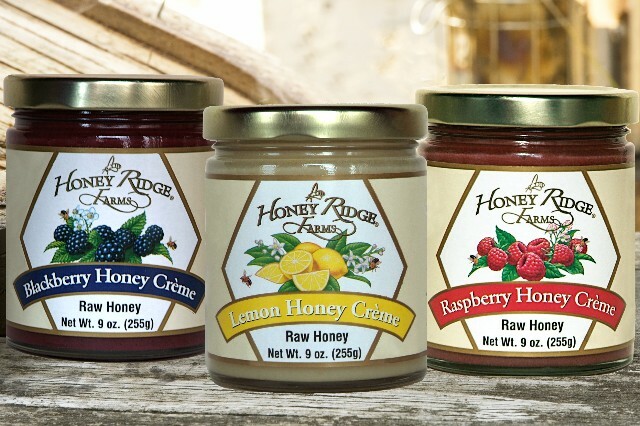 The company’s honey cremes are their signature items – they’re a blend of creamy honey with locally grown fruit in flavors like apricot, blackberry, and cranberry just to name a few. 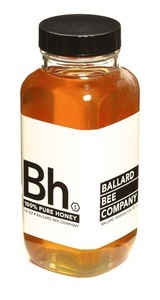 Their highly acclaimed Balsamic Honey Vinegar is ideal for salads, roasted meats, and seafood dishes. For starters, their flagship product is a Honey Curry Mustard, made with fresh ground mustard seed, organic olive oil, balsamic vinegar, raw honey, and an organic curry blend. The perfect complement for salmon! Pair their Garlic Dill Mustard with potato or egg salad, and enjoy their partnership with Oregon’s Jacobsen Salt in their tangy Brown variety. These one of a kind gourmet mustard flavors are available in 3 packs at the Mustard and Co. website, where you’ll also find creative recipes for their uses. 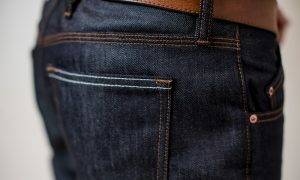 Great new products Made in Seattle! This small company, which has received rave reviews in The Wall Street Journal, Oprah Magazine, and now State Gifts USA, makes two varieties of pickles in spears and chips. Mrs. Pickles, their signature product, are sweet & sour dills, and “Hot Mama” are a spicier version which offer a jalapeno kick to the original recipe. This growing firm is producing over 10,000 jars monthly and the pickles are available in over half the states in the U.S. Of course, you can also purchase them online at the Lynnae’s Gourmet Pickles website. As for their packaging, customers are invited to post pictures at their website – they might be used on one of the Jones Soda labels, which change frequently. Hey, who wouldn’t want their picture on the label of their favorite soda?? 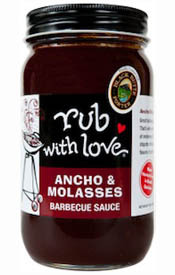 You can buy this and other sauces and rubs at the Tom Douglas online store. A tasty Emerald City gift! As you may know from reading State Gifts USA, we’re passionate about local honey. 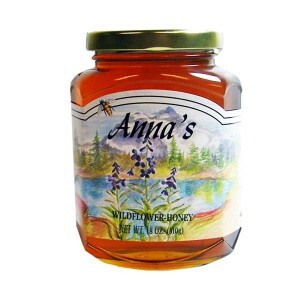 Raw unpasteurized honey, such as those made by Anna’s Honey, offer significant health benefits. Honey is known to aid the digestive system, provide a source of consistent long term energy, and help stabilize blood sugar swings. It is also very beneficial for local allergy sufferers since it helps build a tolerance to seasonal allergies. 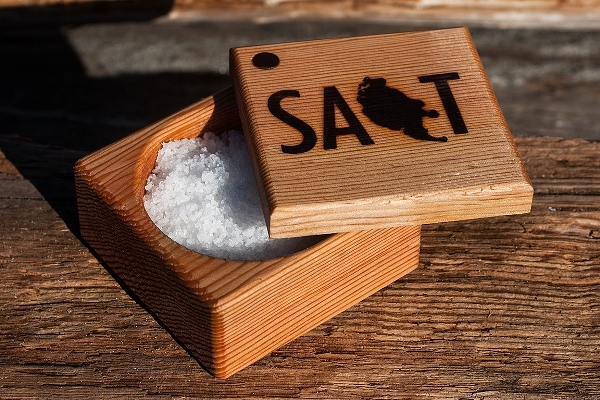 The process for making sea salt starts with harvesting sea water and then allowing it to evaporate. 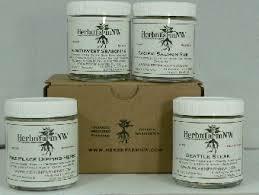 San Juan Island Sea Salt is one of the few producers who completely rely on sun evaporation. It’s a slower process, but it allows the whole full flavor of the end product to shine through. This wonderful salt, along with their honey, is available at their website. The company maintains twenty beehives, and the pure raw wildflower honey carries the flavors of local flowers like clover, phacelia, wild mustard, and more. Fantastic locally made products from San Juan Island! Here are just some of the flavors made by the company: Raspberry Crumble Cashew Mix, Mango Tango Almond Mix, Pomegranate Pistachios, and Cashews With Pomegranate & Vanilla. Sahale Snacks also makes a line of products called Crunchers, which are similar in consistency and texture to coarse granola. We tried a bag of Almonds With Cranberries, Sesame Seeds & Honey and loved it! It’s glazed with honey and ground vanilla beans to add a bit of sweetness to the mix. You can find Sahale Snacks in selected locations of mega retailers … we saw some at a 7 Eleven store recently. Or, order directly from their website! 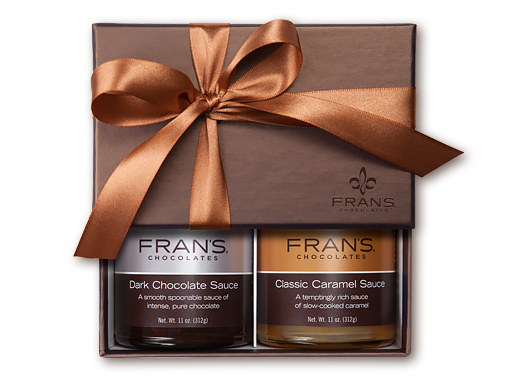 They make a great sweet and salty thank you gift for the healthy snacker on your list! Mt. Townsend Creamery Cheese – Enjoy! Mt. 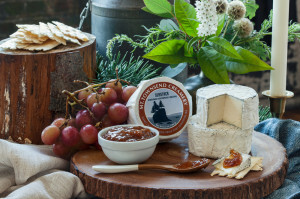 Townsend’s cheese have garnered an international reputation for their exquisite flavor, and they’re now available at their online store. 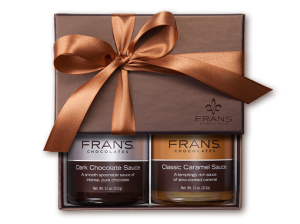 Choose from any of their flavors – they’re described in detail on their site and are certain to be appreciated by anyone on your gift list. Tasting, serving, and pairing notes are included … enjoy the celebrated experience of Mt. Townsend Creamery cheese! 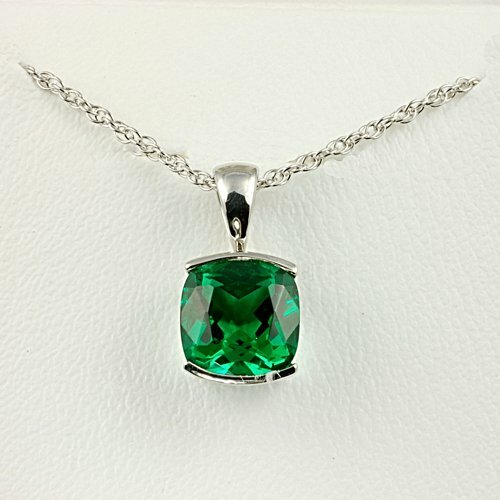 Click through to their site to order for yourself or as a sure to be well received gift! The online store also sells and ships Beecher’s well known side dishes, which have gained national publicity. Choose from Smoked Flagship Mac & Cheese, Mac & Cheese with Pork and Mushrooms, and more. They’re shipped frozen – just heat and serve! Beecher’s Gift Collections are a perfect idea for a Seattle themed gift, or for birthdays, Father’s Day, holidays, or any occasion. 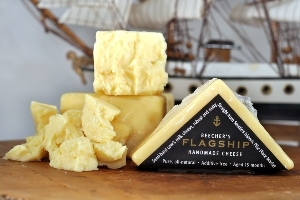 Visit the Beecher’s site to see all your options and to order! One particular sauce the company makes, Cambodian, is great as a dipping sauce. It offers a fruity hot flavor and is ideal with hot appetizers. It has a medium heat level and is the perfect combination of sweet and hot – complements your culinary creations and doesn’t overwhelm them! 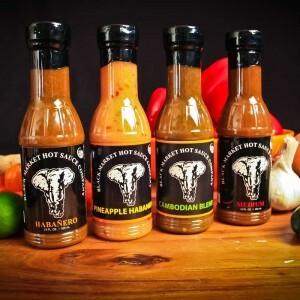 You can order these sauces from the Black Market Hot Sauce website. There’s a discount on cases of ten and also a two bottle deal and Buy Three, Get One Free option. A great gift for guys – we love getting hot sauces as a gift! The St. Jude is a 95 foot vessel which fishes all year long from northern to southern Pacific waters. The prize is albacore tuna, which are caught individually using hooks and lures (dolphin free). The daily catch is limited so the tuna can be processed and frozen immediately, right on the boat. You can buy canned albacore tuna, tuna fillets, and gift package variety packs on the St. Jude Fishing Vessel website. They offer some enticing flavors, such as Mediterranean style, dill, smoked, garlic, and jalpeno. 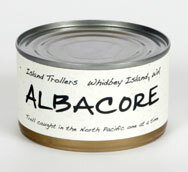 Albacore jerky is available too! 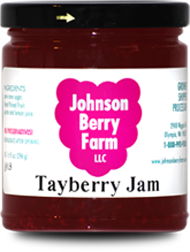 Take a look at the farm’s website to see more interesting jam flavors. 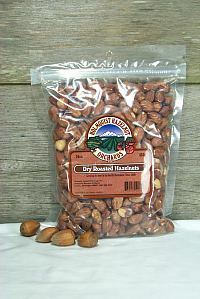 You can buy them individually or in gift packages … a sweet fresh gift from The Evergreen State! Some of the more popular flavors are Sweet Potato, made with local sweet potatoes and cinnamon, Pike Place (made with local Beecher’s cheese), and The MacGregor (made with bacon, cheese, and carmelized onions). 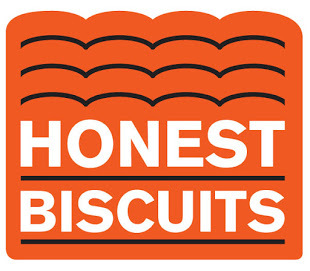 These biscuits are available to ship to you online from the Honest Biscuits online store. 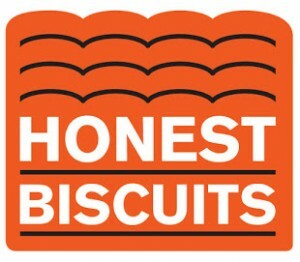 Order in four packs, a dozen, mini biscuits, or a biscuit mix to do it yourself! Ras’ career path was as a barber until he founded the company in 2013. His mother worked as the Farm Program Manager of the Pike Place Market, and his father was a Jamaican farmer. Ras began experimenting with recipes and growing herbs in his Seattle yard, growing from seed and harvesting multiple times per year. We particularly enjoy photographers and artists who focus on their local surroundings. One such photographer is Ralph Widman of Seattle, who owns his own firm Ralph Widman Photography. 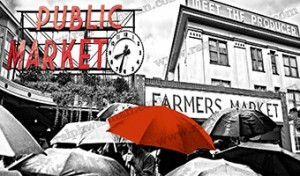 Ralph displays and sells many of his works in the legendary Pike Place Market in Seattle, as well as at his website. Canter-Berry Farms, so named because of their blueberries and stable of beautiful American Saddlebred Horses, has been family owned since 1954 and has sold their blueberry products at Seattle’s Pike Place market for many years. 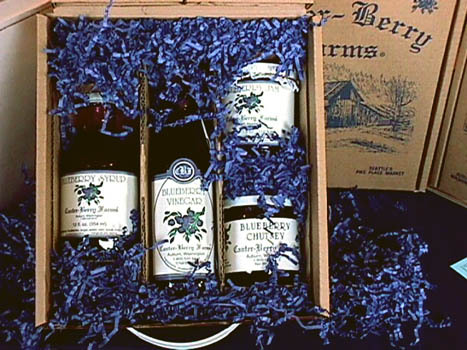 You can buy these fresh products at the Canter-Berry website, including blueberry jam, vinegar, syrup, and several combination gift baskets. A great gift for someone who enjoys the fresh flavor of Washington! They also offer unique hazelnut based products, like oil, butter, and hazelnut flour. The flour is excellent for creating desserts, and there are ample recipes at their website! 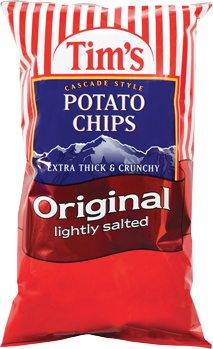 Enjoy a real taste of the Evergreen State! 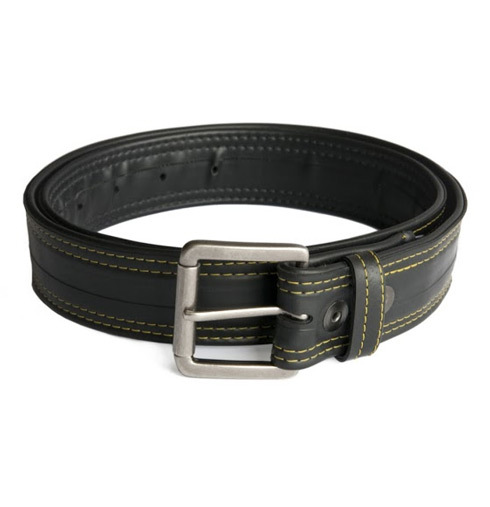 Alchemy Goods: This innovative Seattle company does something really cool … they upcycle old bicycle tire inner tubes and craft them into useful accessories like wallets, laptop carriers, shoulder bags, backpacks, belts, and more. Thus far they’ve upcycled over 400,000 bike tire tubes … bravo! Alchemy Goods offers a wide variety of this useful accessories for sale on their website. They also accept your spent bike tire tubes directly for recycling, as well as work with local bike shops and national chains like Trek to coordinate collection. We love companies that do things like this and encourage you to take a look at their unique items and order one or more for yourself or as a gift! I first tried them on our family’s visit to the Spokane World’s Fair in 1974 and seek them out every time we travel out to Washington … they’re worth the search! Liberty Orchards candy making plant is a popular Washington attraction, receiving thousands of yearly visitors to view their candy operation. 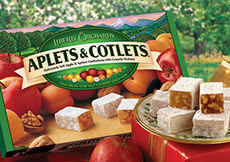 If you can’t get to the Evergreen State, order the unique gift of aplets and cotlets online … they are nothing short of fantastic! 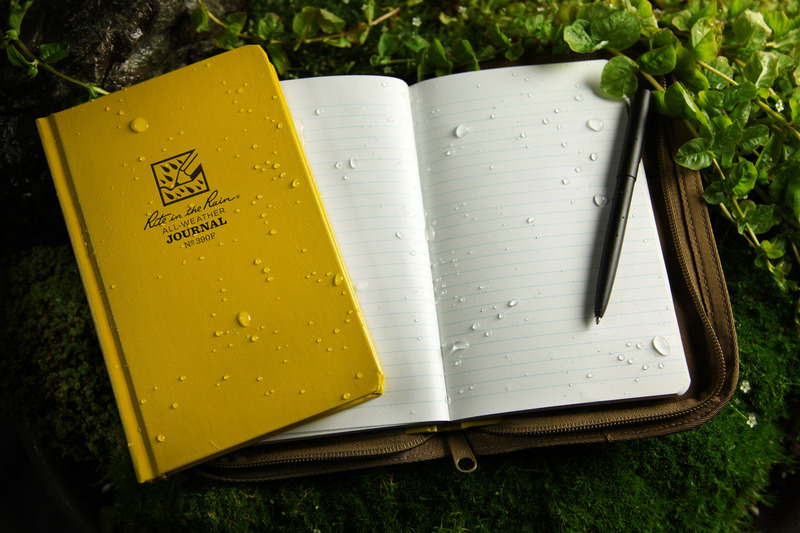 They make writing paper, copier paper, notebooks, loose leaf paper, and all weather pens. 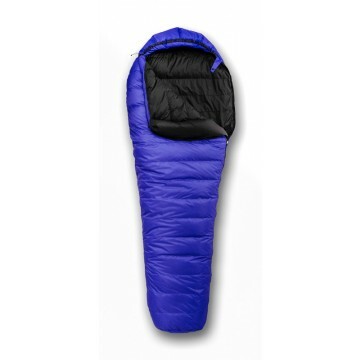 Ideal for those who need to work outdoors! Each bar contains 3-5 grams of fiber and 5-7 grams of protein. Organic nuts and fruit are used in the bars so they’re free of pesticides and herbicides. Feathered Friends products are made with goose down … one of the warmest fabric fillings you can buy. Hidden Acres Gourmet Jams: Moving away from the Pacific Coast, you’ll find Hidden Acres Farm atop Green Bluff just north of Spokane. The tuna is cooked only once it its natural juice … one of the healthiest fish to eat! You can buy Island Trollers tuna in cases of 12 or 24 cans, or via one of their convenient gift boxes … they ship anywhere in the United States! 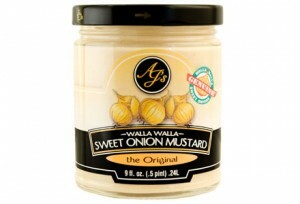 They’re best known for their Walla Walla Sweet Onion Mustard. Walla Walla sweet onions are the west coast version of Georgia’s famed Vidalia onion … or is it the other way around? Rill’s Specialty Foods: From central Washington comes Rill’s Specialty Foods, a small family owned company that packages easy to prepare soup and chowder mixes … just add water and you’re 90% done! 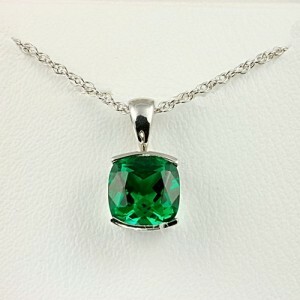 Various pieces of jewelry like rings, pendants, and earrings are created from the stones by the Mt. St. Helen’s Gift Shop near Toutle, WA in the shadow of the volcano. You can browse the collection online and order a truly unique gift from The Evergreen State! More Made In Washington Products Are On The Way … Be Sure To Tell Us About Your Favorites By Visiting Our Contact Us Page!